20,000 BC, the peak of the last ice age—the atmosphere is heavy with dust, deserts, and glaciers span vast regions, and people, if they survive at all, exist in small, mobile groups, facing the threat of extinction. But these people live on the brink of seismic change—10,000 years of climate shifts culminating in abrupt global warming that will usher in a fundamentally changed human world. After the Ice is the story of this momentous period—one in which a seemingly minor alteration in temperature could presage anything from the spread of lush woodland to the coming of apocalyptic floods—and one in which we find the origins of civilization itself. 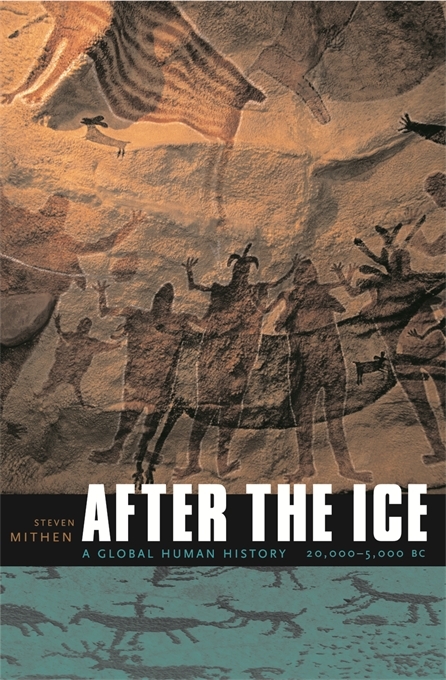 Drawing on the latest research in archaeology, human genetics, and environmental science, After the Ice takes the reader on a sweeping tour of 15,000 years of human history. Steven Mithen brings this world to life through the eyes of an imaginary modern traveler—John Lubbock, namesake of the great Victorian polymath and author of Prehistoric Times. With Lubbock, readers visit and observe communities and landscapes, experiencing prehistoric life—from aboriginal hunting parties in Tasmania, to the corralling of wild sheep in the central Sahara, to the efforts of the Guila Naquitz people in Oaxaca to combat drought with agricultural innovations. Part history, part science, part time travel, After the Ice offers an evocative and uniquely compelling portrayal of diverse cultures, lives, and landscapes that laid the foundations of the modern world.